As we all know that Jio, also known as Reliance Jio and officially as Reliance Jio Infocomm Limited, it is an upcoming provider of mobile telephony, broadband services, and digital services in India. Finally, the Reliance Jio Infocomm Limited started an open sale of its Jio 4G SIM cards after a very long time, with free unlimited 4G data for 90 days. Yes, it means that if you own any 4G smartphone then you can simply walk into the nearest Reliance Digital Store or Xpress Mini Store just to get a new Jio 4G SIM card with free unlimited 4G data, voice calling, SMS, along with the access to all Jio apps and services for 90 days. As we all know very well that Reliance Jio, which is still in beta phase, previously it was actually available to users through its own Lyf range of smartphones. A few months later, the company then extended the service to the small range of Samsung smartphones like Samsung J series, the A series, as well as flagship Samsung Galaxy S and Galaxy Note series. 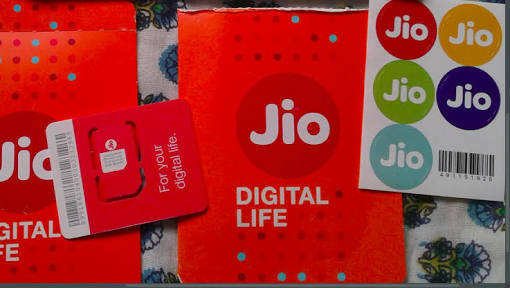 Now many users might be thinking that there is something hidden process or coupon codes to get access to the Jio SIM card, but, don’t worry about that as the Reliance telecommunication has confirmed that users can simply grab Reliance Jio 4G SIM cards from the Reliance Digital store or Xpress Mini Store as they are now available through an open sale without any coupon codes. As we told earlier that customers can simply walk into the Reliance Digital Store or Xpress Mini Store to get a new Jio 4G SIM card. But still, we have to follow few simple guidelines to purchase the Reliance Jio 4G SIM card. Here is the basic information to buy a Reliance Jio SIM card, customers need to submit their KYC documents which basically includes the documents like Passport, Voter’s Identity Card, Driving Licence, Aadhaar Letter/Card, NREGA Card, PAN Card along with a passport size photograph to get a Jio SIM card. However, the Reliance Jio Infocomm Limited has able provide fast and reliable 4G service in India and the last month report states that Reliance Jio users are generally using 26 GB of data on an average per month. But, till now the network was shared by a limited number of users, where most of its users got good speed. Furthermore, the real test of the network will start now, as the company started the open sale where more and more users would join Reliance Jio network every day through this open sale.